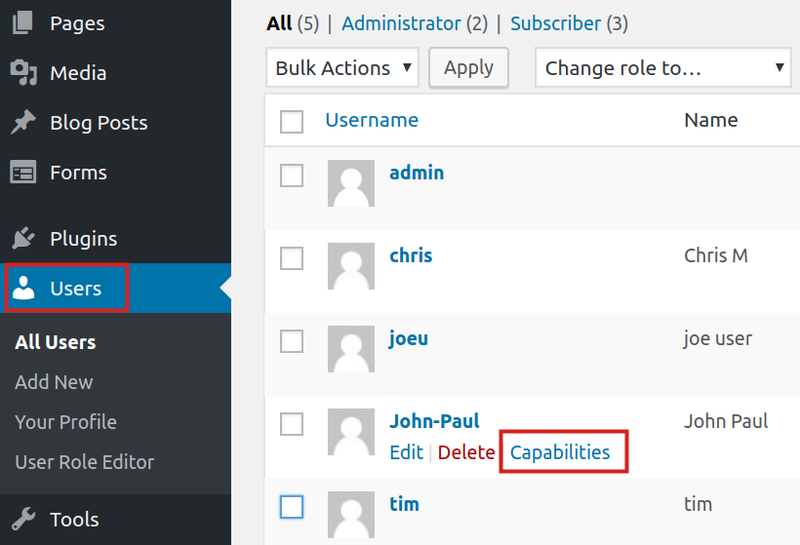 In this tutorial, we will show you how to use custom roles in your WordPress website. 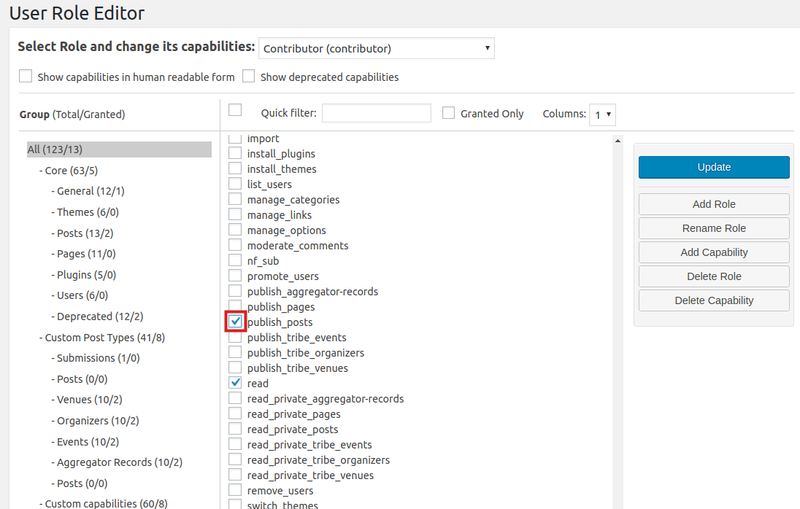 This allows you to set limits or give additional access to a user or role group. 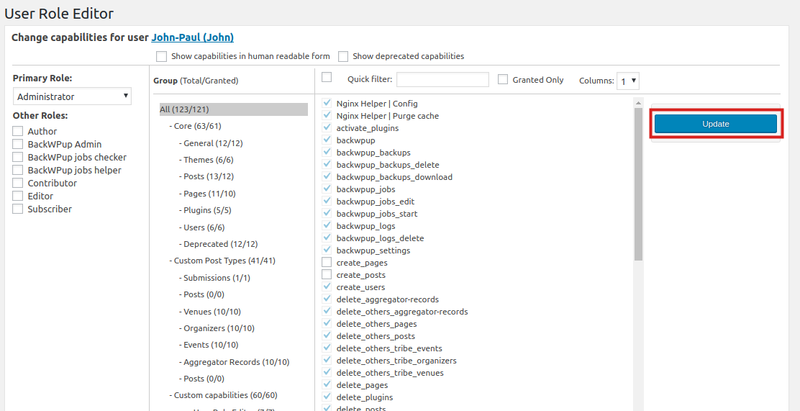 For example, you could give a single user role the ability to upload files or publish posts. 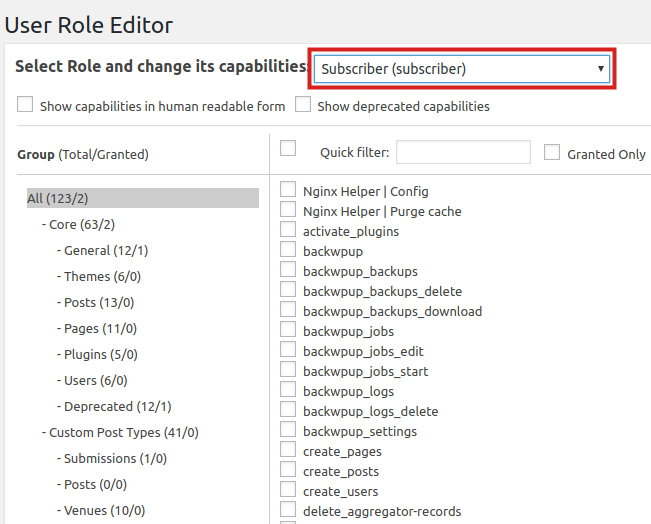 You must install the User Role Editor plugin to complete this guide. 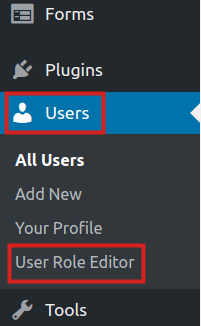 Click Users then User Role Editor in the navigation menu. You will then be on the User Role Editor page. Click the drop-down box to Select Role and change its capabilities and choose the Role you want to change. You can then check the boxes to add additional capabilities to anyone in that role. In this example, I am allowing Contributors to Publish posts. You can also select the Show capabilities in human readable form if you need help understanding the options. To give capabilities to a specific person, click All Users then roll your mouse over the user and click Capabilities. Once you have set your custom user roles, click the Update button to save them. 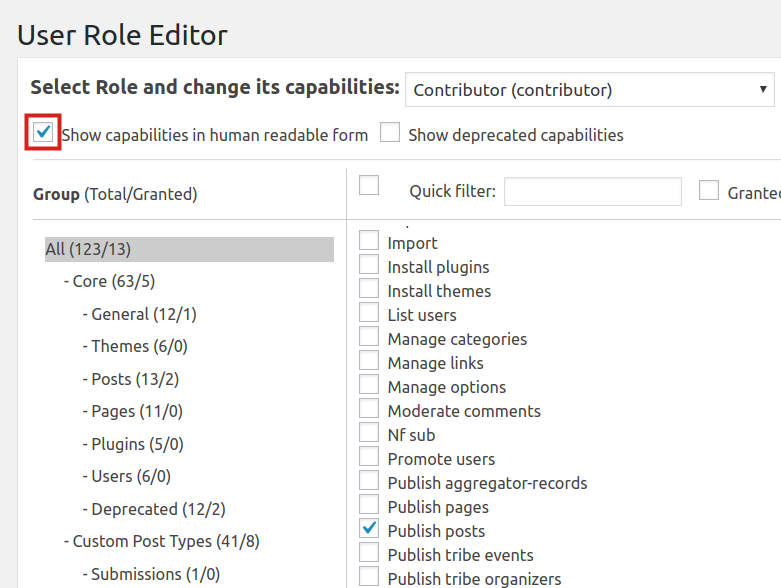 Congratulatulations, now you know how to use custom roles in your WordPress website.